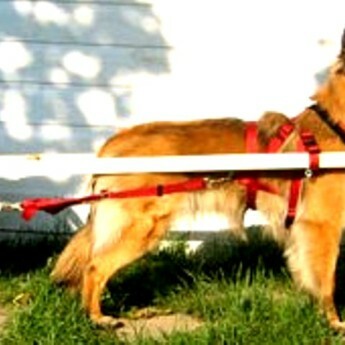 This harness, developed by Consie and Roger Powell, is for use primarily with a wagon, cart, or travois, but can also be used with a sled or toboggan. 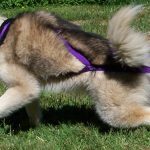 This harness features the same fitted neck design as our sledding harnesses to allow the dog’s shoulder free movement. The extremely adjustable forward cinch (girth) has loops for shafts. 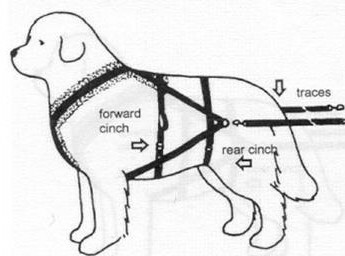 The rear cinch (girth) (use optional) helps hold the D-rings and side straps in place as well as keeping the harness in place when the cart pushes up against it. Both cinches (girths) fasten with Delrin side release snaps. Adjustable traces are included. 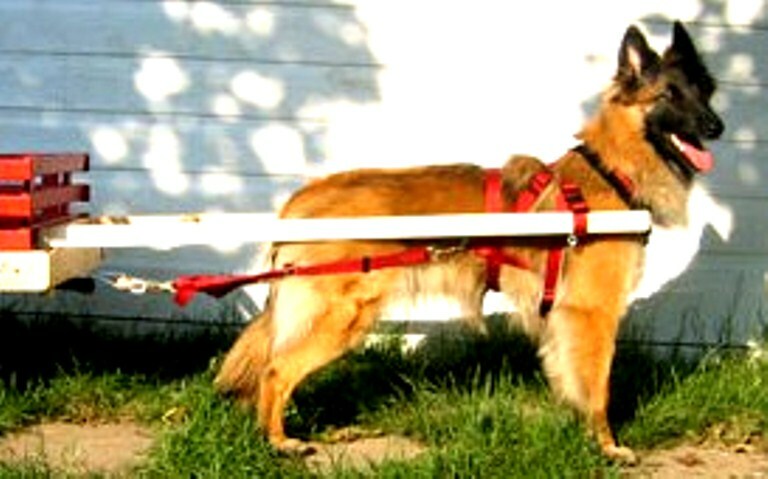 Side release snaps on shaft loops to allow dog to be quickly disconnected from cart. This harness requires a neck measurement. Instructions for measuring are found under information-measuring dogs. SKU: SCH. 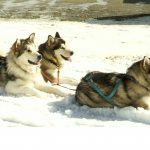 Categories: Harness-Fitted, Harnesses.